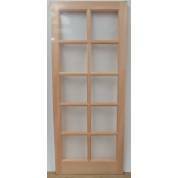 78" (1981mm) tall x 33" (838mm) wide, 1¾" (44mm) thick. Unglazed to accept up to a 16mm unit. 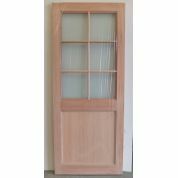 This door had a retail price of around £200 from a leading supplier.